Place needs some decorating, but the basics are coming together. Oh my! You're even bigger than you look! Mighty beasts slink away in your commanding presence! It's not clear in the photos, but at the moment, every component has its own circuit. That will change as components are added, but there's enough now to support what I have and more can be added as needed. Compared to most folks here, my system is obviously very simple. It will remain that way for now as I'm happy with what I have but I'll have to see how the Salons take to the room. Treatment is always an option. I'm all digital now, and next thing is to organize streaming. I'm embarrassed to say I haven't addressed the cabling, but honestly, I've just been enjoying the music. Not sure if we're allowed to post links to web sites, so I wont do it, but if you google "revel trifecta" Thomas J Norton compares the 208, 206 and Studio 2 at Harman's MLL. Worth taking a look at. Thanks. Good read, and interesting to see how well the F208 faired. 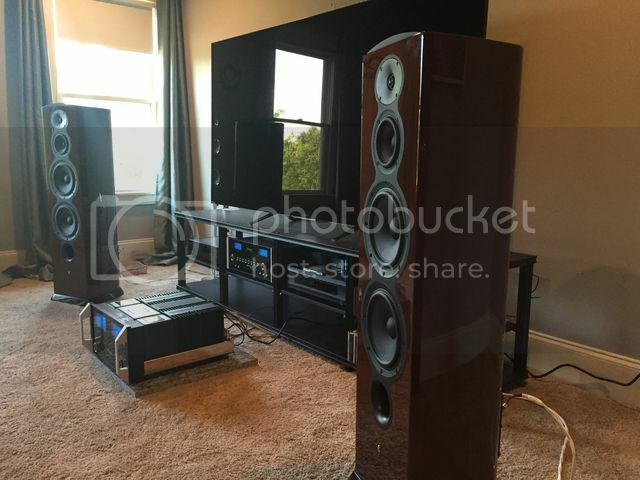 My friend just replaced his Revel F30 with the F208 and he absolutely loves them. Amazingly, we did a head-to-head comparison of the F208 to the Studio 2 on two separate occasions and we both preferred the smoother treble and bigger soundstage of the F208. The F208 just produced superior musicality in our opinion. However, the Studio 2 did have better bass response. That was my impression as well Ken. After break-in the sweet, smooth treble and large soundstage won me over. I auditioned the Studio2 in my room and loved the highs. This is quite high praise for the F208, IMO. As I recall, when I first got here not that long ago, you had a pair of Salon2s for sale. Do you reckon the same outcome had the F208s been run off against the Salons? This is of course of some considerable consequence to me. The LF performance of the F208s is quite satisfying in my room. 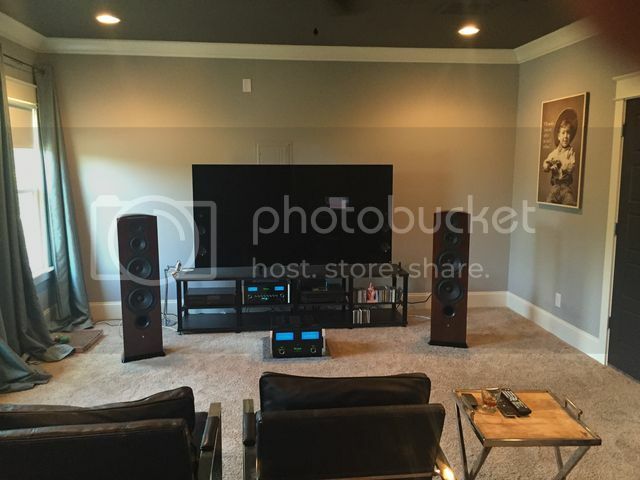 The absolute weight of a larger speaker's performance is absent, but the F208s are not slouches in this area. Bass is tight, tuneful and well defined with very little if any overhang or annoying resonances. When I put the spurs to them, they acquit themselves quite well and the balance between lows, mids and highs is right on the money. No doubt a lot of this has to do with our new room which seems to suit these speakers very well. It has crossed my mind more than once that these things with a couple of subs could be the right solution here but I'm committed to the Salon2s at this point so I'll wait and see. Thanks. I agreed to buy this house because of the room. Not that my wife's decision required that I agree but at least she threw me this bone. Anyone compare the 206 with the 208? 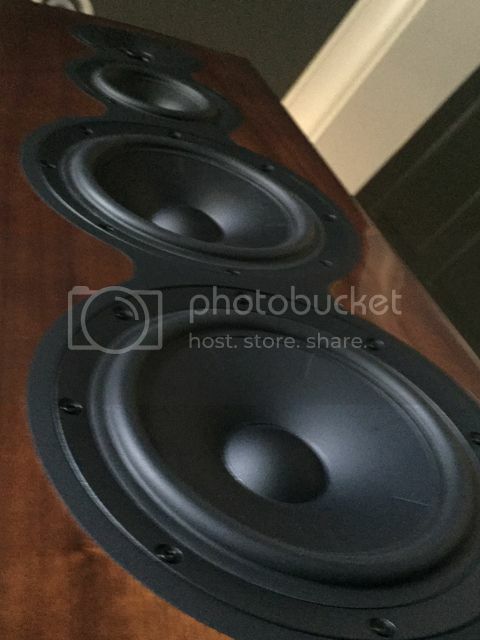 I've said before and I'll say it again, the F208's represent the best 10k 'box' speaker on the market ..........and they are half that price !! 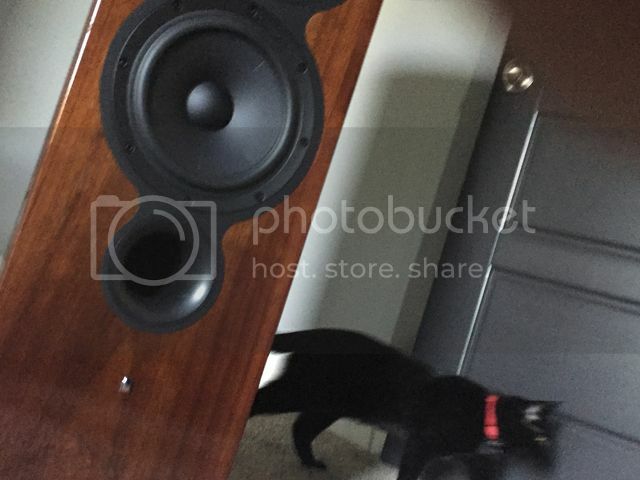 although I still prefer the Studio 2's for what I believe to be greater coherence and definitely better bass response.